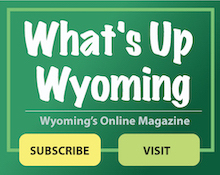 Click below to download a pdf of the latest Word on Wyoming (WOW) newsletter. The WOW can also be accessed by clicking the “Forms & Documents” tab at the top of the home page in the green ribbon. The WOW will continue to be printed and mailed to all homes in Wyoming. There are also extra copies available in the lobby of the City Building and at the Recreation Center.